So if we abolished the U.S. Air Force, as we’ve argued we should, what would that process look like, and what would it leave behind? The Air Force is the lead agency for U.S. military operations in space. So who should talk over in orbit? The Navy should. And the result could be an even stronger American presence in space. Like the sky and the sea, space is a commons; no state has a right to exclude others. Both the Navy and the Air Force have developed conceptual approaches to this commons. But we argue that the Navy’s cooperative concept of the commons is more applicable to space than the Air Force’s concept, that the responsibility for space would fit more comfortably in the Navy than in the Air Force, and that, consequently, American pre-eminence in space can survive the end of the USAF. Space presents a unique operating environment. High access costs and lack of readily accessible materials entail negligible human habitation for the foreseeable future. Zero-sum budgeting of mass and volume restricts everything, especially maneuvering fuel. By necessity frequent, intense maneuvering remains out of the question for feasible orbital vehicles. The twin necessities of constantly moving relevant to Earth’s surface — with the quasi-exception of geostationary orbit over the equator — and the minimal effort expended to maintain that motion once in orbit mean that anything in space also tends to stay there for extended periods of time, with even low-orbit satellites generally staying aloft for years or even decades after decommissioning. Unsurprisingly, this makes space a fragile medium for human endeavor. Counter-intuitively, these characteristics mean that space has more in common with the sea than with the air. Derelict ships float and abandoned satellites drift, while damaged aircraft promptly crash; the story repeats when propulsion systems fail. Most importantly, both sea and space objects stay in their media for months or even years; all but a handful of experimental aircraft return to Earth within a matter of hours. Given such parallels to activities at sea, and the lack of readily controllable resources, treating space as a collective, persistent commons makes sense. Like the oceans, the vastness of space entails that essentially everyone can have satellites in orbit — not to mention in deep space. Most importantly, avoiding a tragedy of the commons whereby misuse threatens everyone’s ability to operate in space is critically important. Much like the sea, space provides the opportunity for many actors to share benefits. Information gleaned from weather-monitoring satellites is useful to everyone, as are the wonders of orbital observatories. Even satellite communications and navigation, which can provide service to only so many uses at the same time, generally have enough capacity that even individuals and organizations in developing countries routinely use ubiquitous services such the America’s GPS satellite constellation. Interestingly, GPS provides an unusual case in which the Air Force providing this form of “utility” to the world at large. Normally such aeronautical or astronautical activities fall under the jurisdiction of the nominally civilian NASA, while oceanographic research in topics as diverse weather forecasting, sea floor exploration and plate tectonics have fallen under the watch of the Navy scientific endeavors. Regardless of institutional affiliation, the activities humanity currently pursues in space, although expensive on a per-satellite basis, have low costs per-retail-user and decidedly substantial benefits. These systems, in order to function properly, must orbit over the whole planet. Lack of weather data from even small countries causes serious forecasting problems, and the expense and difficulty of routing satellites around hostile regions would rapidly destroy the economic viability of space flight. In extremis this could even threaten use of geostationary orbit since any satellite in GEO sees and can be seen by approximately half of the world 24 hours a day. This requires a vision of the commons that is essentially cooperative, not competitive or exclusionary. Unfortunately, wholesale denial of space-use remains easier than guaranteeing access to orbit. Sending objects into space is simpler than getting them into stable orbits, and relatively primitive weapons can readily destroy sophisticated, important satellites. Simply smashing derelict or otherwise unwanted satellites with anti-satellite weapons, or packing satellites full of explosives and detonating them in orbit, can generate debris fields that last for years, cover substantial quantities of Earth orbit, and prove difficult to track. Because debris from one destroyed system may hit another, detonating fuel tanks or other volatile components while simultaneously destroying a second satellite and creating a second debris field, preventing conflict in space is an extremely important concern. Since “rogue” states with moderately sophisticated ballistic missile programs can lob primitive anti-satellite weapons into low altitude orbits, and that they face considerable antagonism from major space-faring powers such as the U.S., the relatively low “entry costs” and likely unintended ramifications of warfare in orbit should give pause to those who advocate for the militarization of space. In nightmare scenarios the extent of orbital debris in low-altitude orbits becomes severe enough that reliably leaving Earth’s atmosphere becomes impossible for years at a time, gutting the vital services currently provided by satellites. Put briefly, offense is stronger than defense, and we can expect that this relationship will hold for some time. Here the “dominance” doctrine so prevalent in most forms of Air Force thinking becomes dangerous. 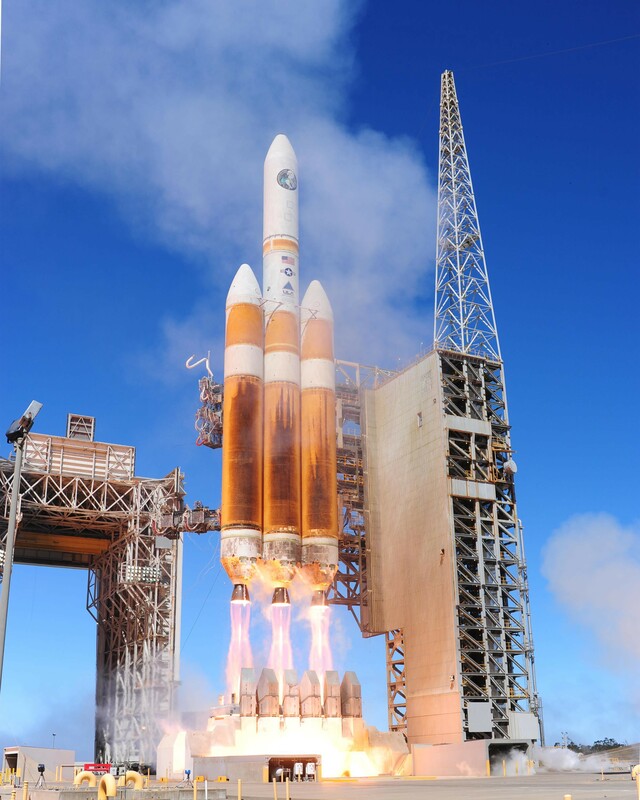 Preemptively militarizing space activities puts the U.S. at a decided strategic and political disadvantage, because at present no major space power has the same level of investment in or reliance on space assets as the United States. An approach derived more strongly from the intellectual traditions of the Navy’s Cooperative Maritime Strategy, relying on management and cooperation rather than control and antagonism while reserving a basic capacity to carry out retaliatory actions, holds considerably greater hopes for developing a robust system of desirable space norms. And so, in effect, we argue that the conflation of air and space is wrong; when properly conceived of as a commons, space is more like the sea than like the air. Military culture structures how an organization envisions its role, and its relationship with other organizations, and the cooperative, commerce oriented framework in which the Navy conceives of the commons makes more sense in application to space than the Air Force’s militaristic “dominance” approach. Moving from the abstract to the concrete, the organizational assets that currently find a home in the Air Force can easily be shifted to the Navy. We won’t miss the Air Force; indeed, our space policy may improve in its absence. Max Lord is a student at the Patterson School of Diplomacy and International Commerce at the University of Kentucky. Robert Farley is an assistant professor at the Patterson School of Diplomacy and International Commerce and the author of Grounded: The Case for Abolishing the United States Air Force. He blogs at Information Dissemination, The Diplomat and Lawyers, Guns and Money.